The first book about Mediclaim and Health Insurance. 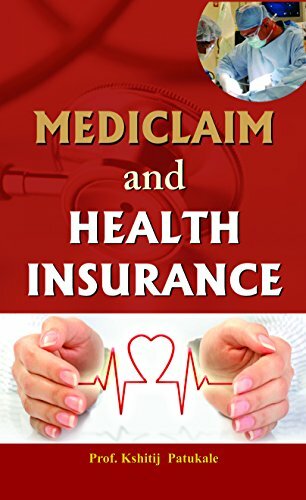 The book details the Machanism of Medicilaim Policy, How it works, How Underwriting is achieved and most important How to get Claim ! 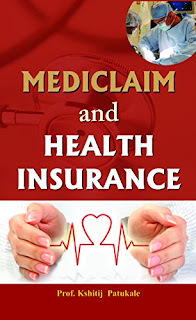 The Book distinguishes health insurance Policy and products offered by various General, Life and Health Insurance Companys, The Book is a perfect Guide for Health Insurance Planning for the family and self. It denotes the barriers and hurdles in the process of buying and claiming the benefits under the Health Insurance Policies. Cashless Facilities, TPA and Consumer Grievances Redressal procedures and the key notes of the book. A detailed Road map and pathway for smooth claim procedures with specimen forms and value added information in annexure. The explains on how to avail State and Central Government sponsored Health and Medical facilities with additional information on How to get Medical Help !